I’m wearing the Bourjois Paris Perfect 123 CC Cream as my base. I’ve set the same using Johnson’s Baby Powder Blossoms. On my eyes, I’ve used They’re Real mascara by Benefit Cosmetics. On my lips is HD Temptation by Revlon. You wouldn’t probably refute when I say that makeup and oily skin aren’t the best of friends. Indeed, we have counters and shelves loaded with endless new products and advanced formulas, but more often than not they come at a hefty price. And at that price, oh boy they deliver! 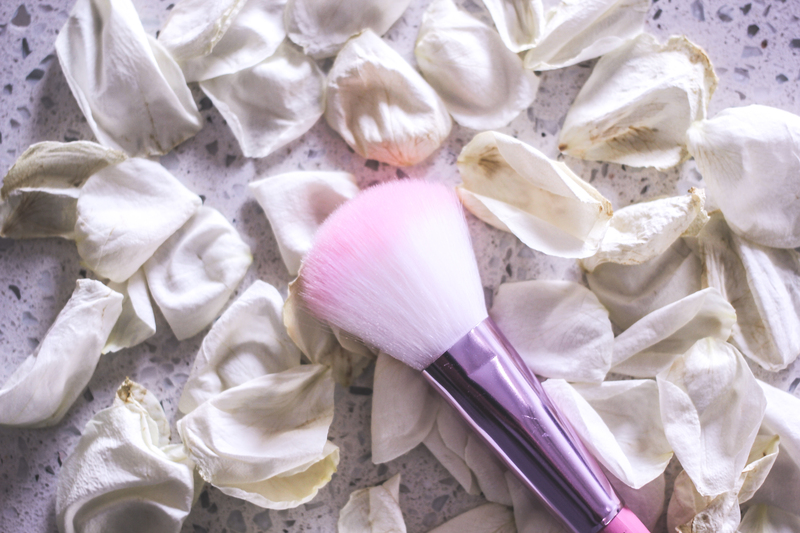 Though these days the weather has been my natural guard when it comes to keeping makeup put, but there’s something I accidentally discovered during the warmer months which in all certainty has become my go-to “Setting Powder”. And, guess what it’s under Rs. 100. Well, if I’ve dramatized enough for you, let me kill the suspense and tell you about it. The product is none other than the humble Jhonson’s Baby Powder. Judge as much as you want, but some of the Jhonson’s baby products are a part of my beauty shelf including their talcum powder. The idea of putting talc on your face can seem weird (or old school or so living in the brown family) but you have to try it once to believe me. Maybe then, we could come back here and wow about the fact that THIS actually works! In this look: MANGO frilled top. Photography by Agamit. Concept, Direction and Styling by TrimmingsAndLace. A T&L Réseau Production.